Armwrestling is a strength sport in which two athletes grip each other’s hand. The goal is to pin the other’s arm onto the surface, the winner’s arm over the loser’s arm. Armwrestling sport test at the highest level the arms power, strength, endurance, technique, strategy, experience and passion. 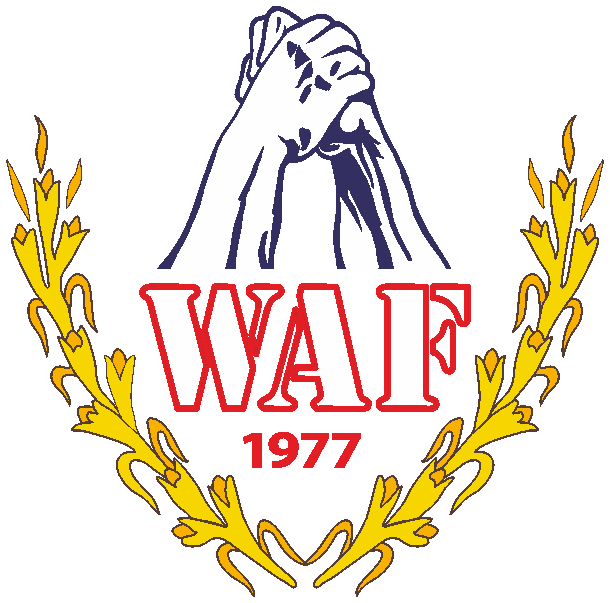 World Armwrestling Federation (WAF) has been founded in 1977 and is now an Organization of more than 90 Members.